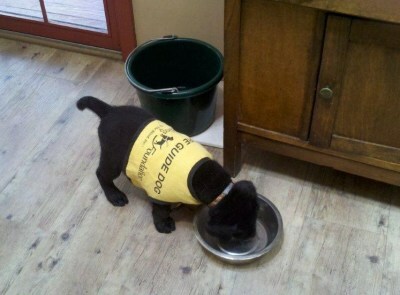 ​Our Labradors are used by Guide Dogs For The Blind, as well as for Diabetic, Seizure and Autism Alert services. While we find our greatest happiness in raising Labradors and providing families with their future companions, we are also active in conformation showing, obedience and hunt. We are members of the Labrador Retriever Club of the Potomac and Shallow Creek Farm has an AKC approved Canine Good Citizen (CGC) evaluator. 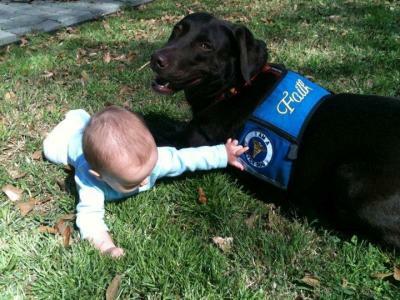 Therapy Dog Evaluation--this certification is through Therapy Pet Unlimited. 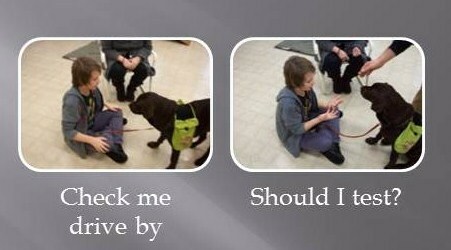 After contacting Therapy Pets (therapypetsunlimited.org) you and your dog can be tested here as a new therapy team!! PLEASE email for more information on this wonderful program!! 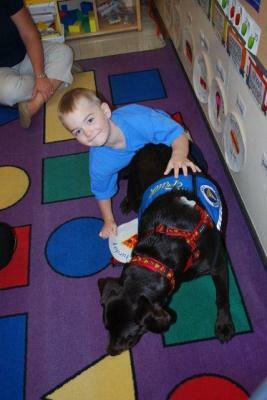 Here are a few of our Companion and Service Dog placements ! Grandby, pictured with our son, has produced a number of service dogs for us--all of whom have her fantastic disposition!! Grandy has long since passed, but she lives on through her daughter "Penny," her Grand-daughter "Sam," her Great-Grandson "Max" -- ensuring that fantastic line will continue !! Below is one of our latest additions to the Service world. 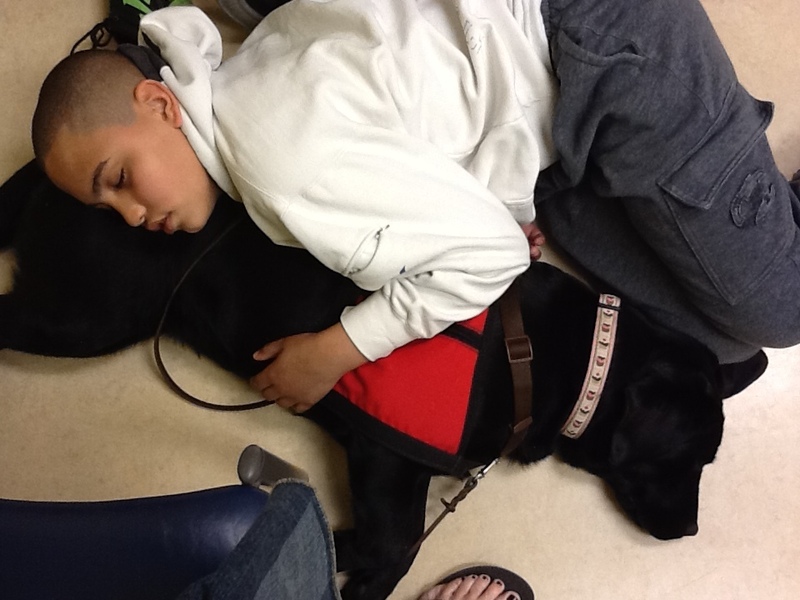 Faith is now a Diabetic Alert dog for a lucky young man. Below is one of our additions to theDiabetic Service world. 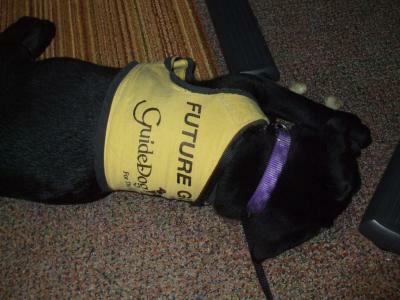 Another Grandby puppy is now a Diabetic Alert dog for a young man. Tess came to Shallow Creek Farm through a rescue situation and now, after receiving some much needed love and attention (and a little training:), she is ready to help others!! 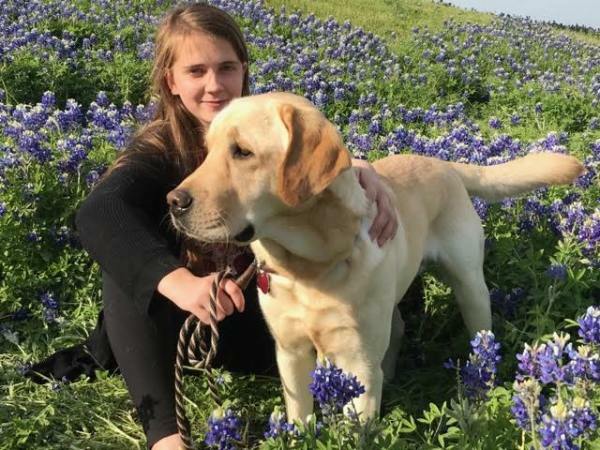 Tess is now a Diabetic Alert Dog (DAD) for a young man in much need of some assistance!! help to a family in his new capacity as a Service Dog. Born in April from Lexi's litter, he will remain at Shallow Creek for a short time for some basic training before heading off to work!! As of 8-24-12, Raye has begun his service career. This is Max, a young puppy from Gump & Spike's last litter (2014). 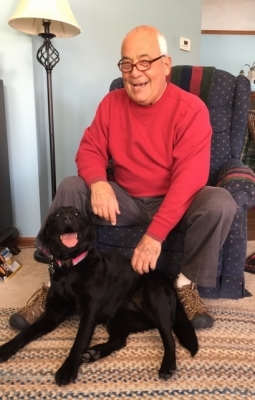 Max is headed to Ohio to serve as a young lady's Diabetic Alert Dog (DAD). 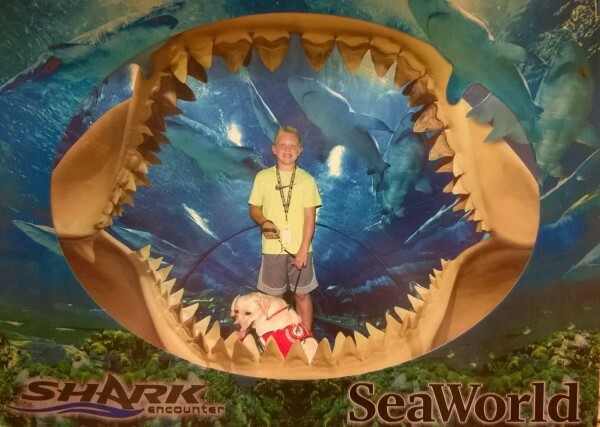 One of our latest Service Dogs, Joan, is shown here on vacation with her partner!! 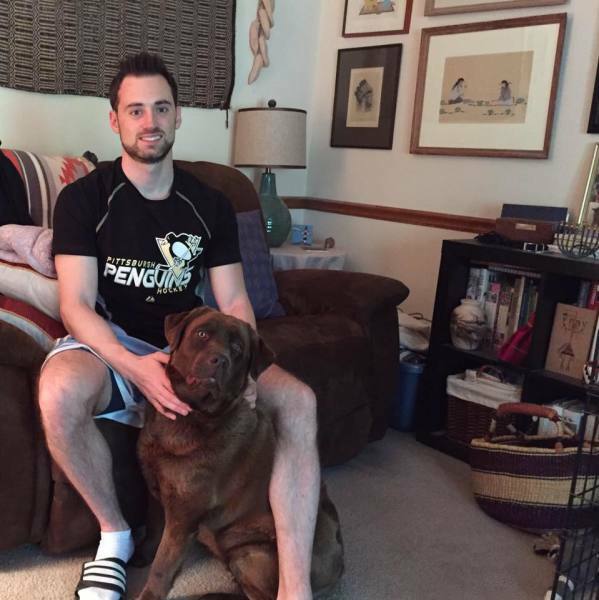 In 2016, Ann found herself in a wonderful home as Companion Dog in with her new family ! Claire finds herself in a new environment, a little bit colder than what she is used to. Still, Claire is quite content with her role as a Companion Dog with her new best friend ! Kip is loving life with his favorite companion in Texas!! !